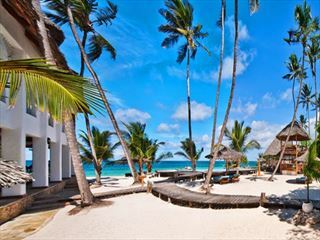 Nestled in the north of unspoiled Lamu, Manda Bay offers not only barefoot luxury and a tranquil ambience, but delicious, fresh cuisine and exciting water sports too. 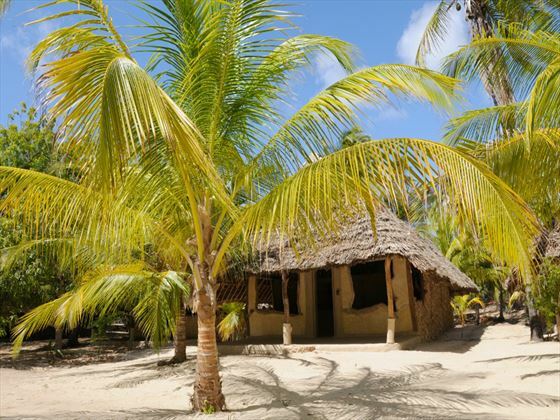 The 10 individual cottages offer a remote and secluded spot, all built with local materials and creating a beach-side feel with their palm thatched roofs. The Beachfront Rooms are the most luxurious, perched only a few steps away from the sandy beach, whilst the spacious Garden Rooms are perfect for large families. 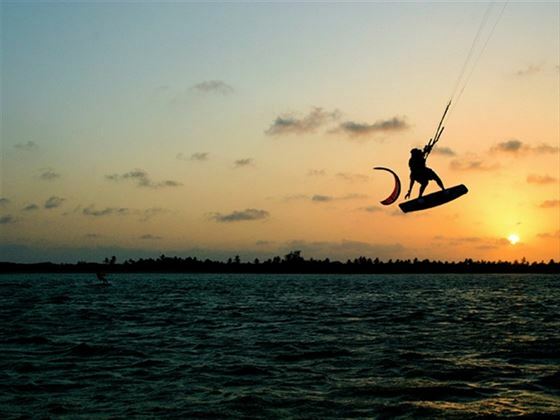 Whether you’re looking to relax on the beach, enjoy some high-octane water sports or get out and see the wonderful natural attractions of Lamu, you’re in the perfect place to do it. Foodies will love this hotel too, serving up freshly caught seafood on the hotel’s sailing boat in the day, and under the stars in the evening. At the end of the day, wander up to the top of the sand dunes and enjoy a lovely sundowner and opportunity to stargaze. 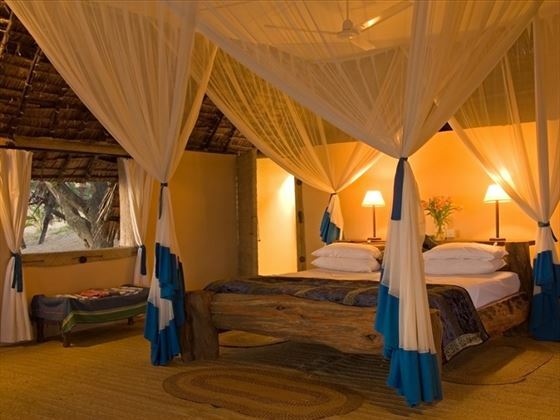 The boutique lodge is located in the north of Lamu. 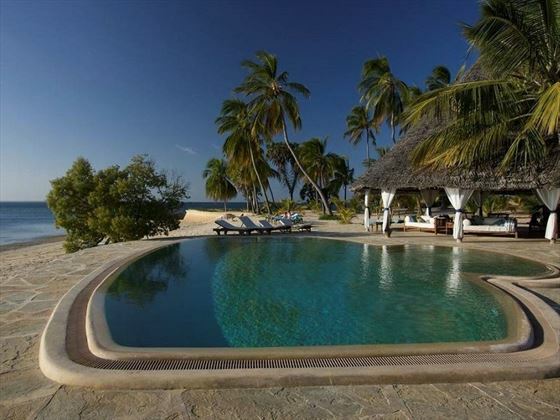 You will need to land on the Lamu air strip, where Manda Bay will pick you up and transfer you to the hotel by boat. The boat transfer takes approximately 20 minutes. 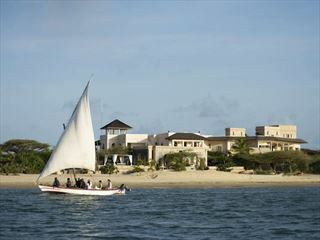 The hotel is nestled in a secluded location, but you’ll only be a 30 minute boat ride to the main town of Lamu. 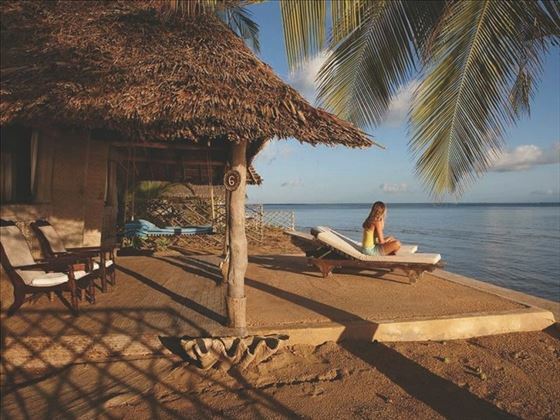 Beachfront Rooms – Charming individual cottages perched right on the seafront. Garden Rooms – Nestled in the pretty gardens, these cottages are the most affordable, and are great for families. Meals here are informal and relaxed. A buffet full of fresh fruits and breads is on offer for breakfast, and light lunches can be enjoyed by the pool or on Utamaduni – the hotel’s sailing boat. Dinnertime is a three course meal, served either in the main dining room or under the stars. 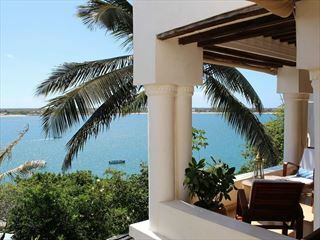 The dishes are inspired by Swahili and European cuisine, and fresh seafood is delivered to the door by local fishermen.